The great news is that there’s still time to get them something that they’re going to love and that won’t break the bank. We’re talking chocolates here…but not just any old chocolates! 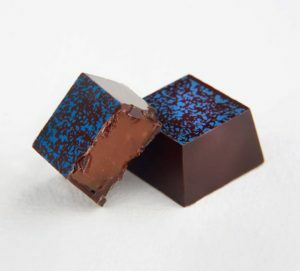 Handmade chocolates in a fantastic range of flavours and textures. Here at Lucy Armstrong Chocolates we make seriously grown-up chocolates for the real aficionado, and we make chocolates for people who love the milk and white kind; our mission is to ensure that whoever you are buying for will find something to suit their palates, and we do this without sacrificing quality or standards; our milk chocolates are made with exactly the same loving care as our dark selection. We even have milk chocolate Christmas lollies and other novelty items for children…no matter what their ages! So don’t be alarmed. Just pop into our shop and cafe on Shore Road, East Wittering, or have a look at our online shop: gourmet-chocolates.co.uk/shop and we’ll get your Christmas gifts made up and dispatched pronto.